Turkey and Russia have recently both turned to an aggrieved nativism that delegitimizes democratic opposition. This nativism is nationalist, anti-elitist, protectionist, revanchist/irredentist, xenophobic and “macho”. Despite three decades of post-Cold War transition both countries have failed to be at peace with themselves; have not been able to adjust to their neighboring regions and come to terms with their respective histories. BACKGROUND:The world political order is under great duress. From Russia to India, Turkey to Hungary, Poland to Great Britain and France – and most recently in the United States – populist and authoritarian politics is making a strong comeback. Liberal democracy is no longer “on the march” while the once famously prophesized “end of history” now seems to be a very distant prospect. Pluralist, centrist and moderate politics are on the defensive. What we have at hand is a nativist wave, a reaction against roughly three decades of intense globalization. A new “aggrieved nativism” that is thoroughly opposed to liberal values such as pluralism, freedom of expression and minority rights is appealing to majorities in many countries. Turkey and Russia are two prominent examples of this international trend. Populism, authoritarianism bordering on dictatorship, virulent nationalism imbued with a distinct contempt for liberal values has gained traction among the electorate in these two countries. De-legitimization of the democratic opposition is a leading characteristic of this stance. Nativists are extremely skillful in delegitimizing all other contenders for power. They invariably see themselves, and succeed in appearing as, the only true representatives of “the people” or the “national will” and thus regard all other political actors as illegitimate. In Russia, opposition groups are regularly branded as foreign agents, as agent provocateurs or depicted as destabilizing actors who are claimed to be part of some sort of conspiracy. In Turkey, the democratic opposition is also increasingly branded as terrorists, coup-plotters, agents with links to foreign interests, or collaborators with Western powers. The message is clear: Only the nativists constitute “the people” or the “national will”. Meanwhile, the status of the remaining elements of the people is unclear and subject to being questioned. Ultimately, the de-legitimization of the opposition leads to the monopolization of the right to political representation. IMPLICATIONS: In all countries affected by aggrieved nativism one detects a considerable increase in nationalist discourse. There is a distinct glorification of one’s national, ethnic or religious identity, and often a combination of those identities. In stark contrast to multilateralism, cosmopolitanism, pluralism, diversity and tolerance, there is a determined return to a native, conservative and more inward-looking political posture. This nationalism is heavily bolstered by religious motives. In Russia, Orthodox Christianity, and in Turkey Sunni Islam, is called upon to fortify the nativist front. Russian president Vladimir Putin views Orthodox Christianity as “a spiritual and moral guide, the essence of Russia’s unique civilization”. Similarly, Turkey’s President Recep Tayyip Erdoğan views Sunni Islam as an integral part of Turkish identity and frequently advocates a greater role for religion in public life. Erdoğan’s followers often portray him as the political leader of the Sunni Islamic world similar to the khalif of the Ottoman Empire. As agents of globalization, the global economic and political elite are obvious targets of the nativists. Global elites prospered over the last three decades; they have been able to circumvent proper taxation and have accumulated large chunks of wealth while some segments of society have been left behind. The losers of globalization are naturally inclined to agree with the nativist view that the elites of globalization are self-serving, selfish and disconnected from the concerns of the popular masses. In contrast to the complicated, technocratic expertise offered by global elites, aggrieved nativists offer simple solutions and are astute in capturing the hearts and minds of neglected majorities. As was evidenced by the Brexit vote and the election of Donald Trump, the denigration of the globalized elite tends to pay off. In Turkey, it has similarly become a liability to be well-educated and speak foreign languages; support for nativist politics does not correlate positively with levels of education. Putin’s Russia exhibits an equal suspicion of the intelligentsia. Globalization has had an immense impact on international trade patterns, global production trends and the movement of goods. Many societal segments that could not compete with such integrated and competitive global market conditions have been receptive to proposals for more protectionism. Some aggrieved nativists argue that protectionism could re-energize local industries, bring back dearly lost jobs and lead to economic recovery in favor of neglected segments. This is especially pronounced in the US, the UK and in France. While Russia is frequently criticized for being over-protective, Turkey is also increasingly seeking protectionist measures. Although Turkey benefits greatly from its custom union with the EU, calls for re-negotiating the customs union have increased in recent years. Russian irredentism in Georgia, Ukraine and the Crimea, its policy vis-à-vis the Baltic states, as well as its claims on the Arctic have become major concerns for the US-led international order. Lately, Turkey has also been entertaining an irredentist language vis-à-vis Syria, Iraq, the Balkans and the Aegean islands. Although for different reasons, Russia and Turkey have been calling for an adjustment of the international order to accommodate their geopolitical interests. Russia pursues a determined drive to re-establish itself as a superpower and has made considerable progress thanks to lessening American interest in regional conflicts in Europe and in the Middle East, a weakened EU and its own bold military action in Syria. The Turkish leadership has been critical of the UN Security Council system – a position adopted particularly after Russian and Chinese vetoes on Syria in the Security Council. Ankara has made attempts to raise the issue of UN reform but has failed to gain traction. Both the Russian and Turkish national discourses speak of imperial nostalgia. Putin aspires to re-establish the Russian Empire as his actions in Abkhazia, South Ossetia, eastern Ukraine and the Crimea demonstrate. The Turkish leadership exhibits neo-Ottoman tendencies and frequently alludes to its Ottoman heritage in its political discourse. Images of Ottoman warriors are customarily utilized at state functions and hosting of foreign leaders. The politics of aggrieved nativism easily degenerates into xenophobia and racism as they target ethnic, racial and religious minorities. While the target of American and British nativism is usually Muslims and immigrants in general, in Turkey, Kurds, Alevis and to some extent Syrian refugees are feeling the brunt of aggrieved nativism. Russia has long been harboring xenophobic reflexes to ethnicities from the Caucasus and Central Asia. Recently, such reflexes have been extended to citizens of western countries, particularly Americans as well as gays and lesbians. Nativist politics value the glorification of a strong leader. 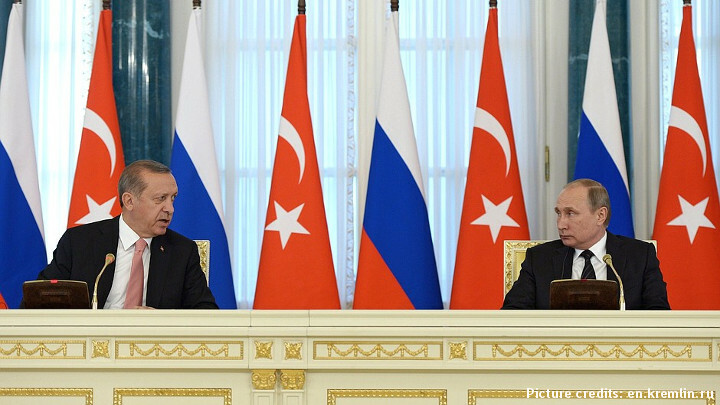 Sustaining an image of strong leadership has been perfected in Russia as well as in Turkey. Images of Putin the wrestler, hunter, diver as well as the military pilot who would lead Mother Russia into safety are constantly promoted in the Russian media. Similarly, an image of Erdoğan as a strong, fearless leader who dares to stand up against westerners, foreigners and all sorts of agents of imperialism has been skillfully constructed; this works remarkably well in a country where the political culture has long since been plagued by a deep sense that the Turkish nation is beleaguered. Erdoğan’s semi-professional soccer career is also often utilized to prop up his image, as soccer is the most popular sport in Turkey. CONCLUSIONS: Interestingly, in both Turkey and Russia the descent into aggrieved nativism was preceded by liberal eras. In Russia, the period of glasnost and perestroika, which ended with the disintegration of the Soviet Union, was followed by the openness – and the disastrously neo-liberal policies – of the Boris Yeltsin era. Although this latter era was open and liberal in political terms, it was also chaotic, fraught with social upheaval, institutional breakdown and economic hardship for the vast majority of the population. In Turkey, the first eight years of the rule of the Justice and Development Party (AKP) were a corresponding, but much happier liberal era, without the social and economic upheaval of the Yeltsin era in Russia. Turkey’s short-lived liberal era saw Ankara begin accession negotiations with the European Union, the size of the Turkish economy tripled and bold attempts to solve intractable problems with neighbors as well as with the Kurdish minority were undertaken. While the reasons behind their turn toward aggrieved nativism differ in Turkey and Russia, it is nevertheless noteworthy that their regressions were preceded by liberal and open eras. In fact, both Erdoğan and Putin tried to cooperate and to move their countries closer to the West. While Putin sought a framework where he could work with NATO and be part of an enlarged Europe, Erdoğan aggressively pursued accession negotiations with the European Union. Both leaders embarked on the path of aggrieved nativism after their attempts had failed. Could this have been avoided, if their reception in the West had been different? That is not necessarily certain. Yet, the Turkish move toward authoritarianism was also conditioned by the intra-Islamist competition for power that broke out between Gülenists and Erdoğan after 2011. All in all, the transition to authoritarianism bordering on dictatorship in Turkey and Russia has very much been accomplished by the harnessing of aggrieved nativism. That said, despite three decades of post-Cold War transition, both countries have failed to be at peace with themselves, and they have been unable to adjust to their neighboring regions and come to terms with their respective histories. 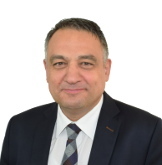 Suat Kınıklıoğlu is a Senior Research Fellow at the Institute for Security and Development Policy and a former member of the Turkish Parliament.